In her "prior life", Carrie developed, ran and eventually sold two very profitable businesses. This entrepreneurial spirit naturally lead her to real estate where she became a top RE/MAX agent receiving many awards. After joining forces with her husband, Dave Courtney and two other top former RE/MAX agents, they soon opened up their own Real Estate Brokerage, Changing Latitudes. Originally from Michigan, she has resided in Central Florida now for over 25 years. She loves spending time with family, taking care of her husband and 7 children and traveling whenever they can find time to get away! With twenty plus years experience, they have gained invaluable insight when it comes to advising clients with their real estate needs.The key to their success is the team approach and their ability to be in two different locations at once, as well as giving a male and female perspective, helps provide an invaluable service to their clients. When asked about her Real Estate career, Carrie sums it up as “It’s been an amazing run, but I think the best is yet to come.” That optimism and forward thinking are consistently highlighted throughout Carrie’s career. 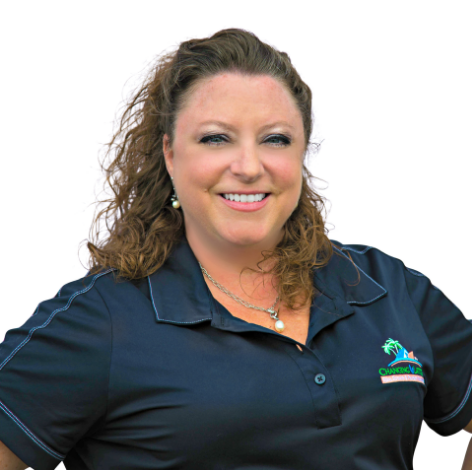 Her dedication, service, expert negotiations, and true heart for Real Estate, have made Carrie the first choice in the Central Florida real estate agents for many years. Carrie has always earned clients respect and loyalty, two of the reasons why 99.4% of her business comes through referrals. Through very professional, integrity based standards are what ensure that her client’s best interest is always at heart. It is exactly these characteristics that will make Carrie, her team and Changing Latitudes a leading brokerage for years to come. Dave has been selling real estate in Central Florida for nearly two decades. He is a master negotiator and a well respected professional within his field. While Dave’s primary focus is on residential real estate, he also has extensive property management and investment experience. Before opening his own company, Dave was a Broker/Associate with RE/MAX for over 10 years. Dave has held investor purchase seminars and showcased his investment properties in International cities such as London, Manchester, Utrecht, Dublin and all over the U.S. He has been called as an expert witness involving real estate disputes, lectured at real estate conferences and taught numerous classes at the Association of Realtors. Dave has participated in over 1000 successful real estate transactions for all types of buyers - predominately investor purchasers. About 30% of all of Dave’s customers are foreign investors. Dave’s prior management experience includes 10 years in supervision with Wet ‘n Wild Water Parks and 5 years as restaurant manager/restaurant opener for the Cheesecake Factory Restaurants in Chicago and Orlando. Dave is “In his 40’s” and happily married to his real estate partner, Carrie Courtney. They have 7 beautiful children. Together, Dave and Carrie blend their individual strengths to create a real estate team beyond compare. With over two decades of experience, they know what it takes to turn their client’s unique real estate dreams into reality. Paige has lived all over the Sunshine State, with most of her time being spent right here in Central Florida. She is a graduate from the University of Central Florida, with Bachelor’s in Business Management and another in Psychology. She has a mind for business and the understanding of how people work, always looking for ways to further her experience and education. Paige and her fiance have a sweet six-year-old boy and one on the way! They are owners to several turtles and love to frequent all the theme parks and museums. Paige has been working in management for 15+ years. She joined the Changing Latitudes team in 2016 and is our liaison for all our property management owners, tenants, and vendors. She also manages all our real estate transactions and ensures everyone has a pleasant experience working with our amazing team. Karen has represented both local and international buyers and sellers in their residential and vacation home real estate needs in the counties of Orange, Osceola, Lake, and Polk. Building lifelong relationships with her clients and respecting their needs and concerns throughout and after their entire transaction process is what Karen believes. She also believes that her work experience for many years as a Kindergarten teacher as well as her master's degree in Counseling both greatly assist with providing a level of patience and reassurance throughout the entire real estate purchase process for her clients. She will be happy to provide the support that is needed every step of the way! Karen is a member of the Florida Association of Realtors, National Association of Realtors, and the Orlando Regional Realtor Association. She's available at your convenience to discuss any of your real estate needs. Danielle was born in Long Island, New York but has been in Florida for 20+ years. Spending most of her time in Central Florida, her family has a special spot in their hearts for Disney World. Danielle has twin girls and enjoys watching them learn about the world around them as they develop and grow into their own spunky personalities. Some of the most interesting times of her life have been while she worked on an expedition cruise line and traveled to Alaska, British Columbia and the western parts of the United States while learning different cultures and gaining an appreciation for natural beauty. Danielle has been working in customer service for over 15 years. You'll enjoy her positive attitude and efficiency while she ensures you are enjoying yourself during the process of changing your latitude! As an agent who's an expert in this local area, she brings a wealth of knowledge and expertise about buying and selling real estate here. It's not the same everywhere, so you need someone you can trust for up-to-date information. Danielle is eager to serve you. As a local Realtor and Buyer's Agent who lives in Kissimmee, Mark has developed a wealth of knowledge and expertise about buying and selling residential (and investment) real estate in the Kissimmee/Davenport - and surrounding areas. Mark is a Realtor who communicates in a fast, professional manner; someone who's hungry to earn your business, but he's also someone who never forgets you could have chosen anyone else. Perhaps most importantly, he is someone who will, for as long as it takes, be there for you every step of the way until he finds the right home - at the right price - for you and your family. Having been born in Houston, Texas and then living in Dominican Republic to New Jersey, Elmy has been more than happy to call Central Florida home for the past 15 years. She is more than willing to share all the knowledge she has gained to the buyers she works with. She will make your wants and needs her priority and find you the perfect home so you too can call Central Florida your home. Elmy is currently a student at Valencia College pursuing her Associates in Science for Property Management. She then will transfer to University of Central Florida to get a Bachelor in Business Management. She works consistently to educate herself in the newest information that will be beneficial to any home buyer. You need someone who knows this area inside and out! Elmy will work with you to find the right home at the right price for you, including all the neighborhood amenities that matter - not to mention the essential criteria you have for your ideal home. Feel free to contact Elmy for any of your Real Estate needs and she'll help you change your latitude. Savanna, born and raised in Kissimmee. Being reared by a family of Realtors has given her inherited knowledge and natural desire for real estate. Her comprehension about schools, recreation, shopping, modes of transportation and local activities help her clients navigate where they are interested in purchasing their future home. By working with few clients at a time, Savanna is able to give you the attention that you require. She will guide you through the home-buying step by step at the pace that is right for you. Savanna values your time and works hard to achieve speedy results. She is an exceptional listener who hears what is not said and knows what questions to ask to help identify and achieve goals. Above all, Savanna has absolute integrity, always telling you what you need to hear and maintaining confidentiality regarding your financial matters. Real estate is in Felix's blood. Raised by a family of Realtors and Property Managers, Felix learned early on the many aspects that define the Central Florida market. Felix knew that his passion for customer service, combined with his business savvy, was best utilized not behind a desk, but out in the world. After obtaining his license, Felix decided to join the ranks of Carrie Courtney & Company, a place whose family-like, client-first attitude aligns with his own values. Felix prides himself on his commitment to further learning and education in real estate and property management. His favorite part about being a Realtor is his ability to help others, and it shows. He loves meeting new people, building relationships, and guiding his clients to the most successful outcomes. Jerald Trott is a long time resident of Orlando, Florida. In addition to his Florida Real Estate Licence, Jerald holds a property management certificate from Penn Foster and a Bachelor's degree in criminal justice from Everest University. He has worked in customer service for the local theme parks for over twenty years, receiving numerous awards for exemplary service. This knowledge of the Central Florida area and strong commitment to customer service equip Jerald with the skills that he brings to educating home-buyers and sellers, negotiating contracts, and effectively marketing the team’s listings. Jerald currently resides in the Windermere area with his beautiful wife Katie. He enjoys traveling, spending time at the Disney theme parks and is a die-hard baseball fan. As animal lovers, he and Katie are the proud owners of a dog, four cats and a bunny! Jerald spends his spare time volunteering for non-profit organizations such as Give Kids The World and the Make-A-Wish foundation.